New characters were introduced in the Injustice 2 Fighter Pack 3. This has been revealed by NetherRealm, the makers of the game. A bit of nostalgia is coming your way because the Teenage Mutant Ninja Turtles are the added characters. A teaser image was shared on Twitter by Ed Boon. It shows Black Manta lying on the ground where a drum of oil is spilling out almost reaching a lighted cigarette. Also, in the same image is a hand who is later revealed to be Raiden’s. This proves that the person who beat them up is Atom. The video reveal received various reactions from the fans. Although some are happy that the additional characters are the Teenage Mutant Ninja Turtles some would rather have the Spawn, Constantine, Rorschach and Beast Boy or some other character from DC. 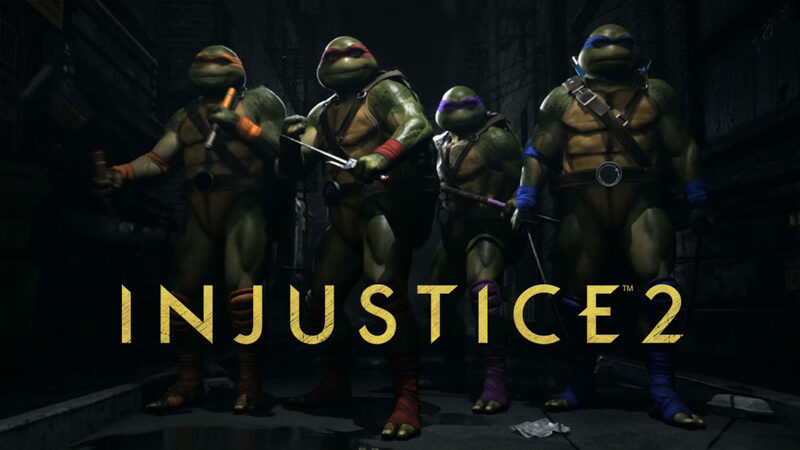 There are some that say that the Ninja Turtles does not have anything to do with DC and that because of that they don’t belong in the game. However, most may not know, in December 2015 to May 2016 a crossover series did show Leonardo, Donatello, Raphael, and Michelangelo teaming up with Batman. A sequel to this is actually slated to start in December. There will also be other guest characters who are mostly from Mortal Kombat. NetherRealms did make a very interesting choice with the Ninja Turtles. Ed Boon also added that more characters will be released for the fighting game. And although there are only three Fighter Packs promised, surely more will come out. The game officially launches on December 14 for PC, PlayStation 4 and Xbox One. We will also get to see Atom added to the roster by Injustice 2 and Enchantress in January and the Teenage Mutant Ninja Turtles in February. The Injustice 2 PC will be arriving very soon and if you would want to try it right now a Steam beta is available for live 1v1 brawls online.